In August, Clutch published an updated report on Top Poland-based Software and Web Developers that identifies firms with outstanding records of client service. We’re proud to inform that Prograils is honored to be among the bests. Clutch is an independent B2B research and analyst agency from Washington DC that identifies top service and software firms based on innovative research methodologies. 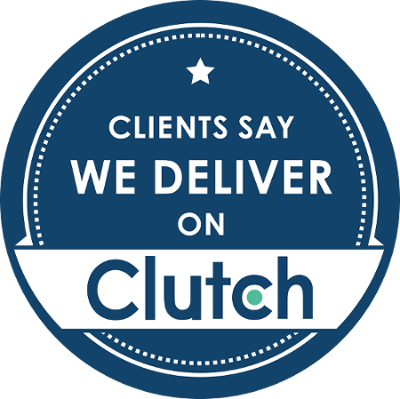 Clutch does their great job by classifying leaders that deliver top-notch services by melding the traditional approach to the B2B reviews with the customer reviews. No matter if your an early stage business, startup or an enterprise clutch is the best place to find reliable, verified partners among 500+ companies covering 50+ markets that Clutch researched and reviewed. Our selection was determined by the internal evaluation and feedback submitted by our Clients. Qualitatively, we've been impressed with their performance. They're very responsive to us and implement our feedback very well… They offer a great balance between value and experience. They were very fast and they understood the concept of what I wanted. They really pay close attention to details and make great, insightful recommendations when they’re able to. We’ve greatly appreciated that. Overall, Prograils inaugurated into the Top Poland-based Software and Web Developers Leaders Matrix after thorough examination of several factors like company experience, industry recognition, technical certifications, market presence or positive client reviews. We are thrilled with such great news! Prograils is an agile Software House that creates world class web and mobile applications for startups, e-commerce and online businesses. Our development focuses on Ruby on Rails - the best technology for startups to build scalable web apps. More details needed? Here you can find the press release with full Clutch’s report: Clutch Recognizes Top Software and Web Developers in Poland. PS - Make sure to check our portfolio where you’ll meet our happy Clients. How about being one of them?